In typical gentle style, the seventh book in the Anna Hibiscus series provides a glimpse into the problems of an inequitable system. 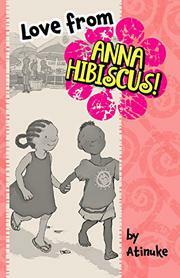 Picking up where Go Well, Anna Hibiscus (2017) left off, the book finds Anna increasingly aware of the poverty and lack of opportunity experienced by her friends in her grandfather’s village in rural Africa: “if Tosin and Tolu and Beni are my own age, why are they all so much smaller than me?” When she realizes that it is because they eat only once a day, she is sad and determines to do more than be a friend. Anna is just a little girl, but the third part of her name, “Iyanu,” means “miracle.” In the most miraculous way, Anna, with the help of her cousins, tackles all these big problems. Her loving family also rescues her orphaned friend, Sunny Belafonte, from an impossible choice: stealing or starvation. All this is accomplished in four brief chapters using simple, direct language aligned to the abilities of newly independent chapter-book readers. Anna’s good deeds feel completely believable. After all, as Grandmother had told her, “Anything was possible. Schools. Medicine. Food. Families. Anything at all. It took money and time and knowledge. But mostly it took love.” Maybe it is that easy, if everyone shares Anna’s compassion and optimistic view.